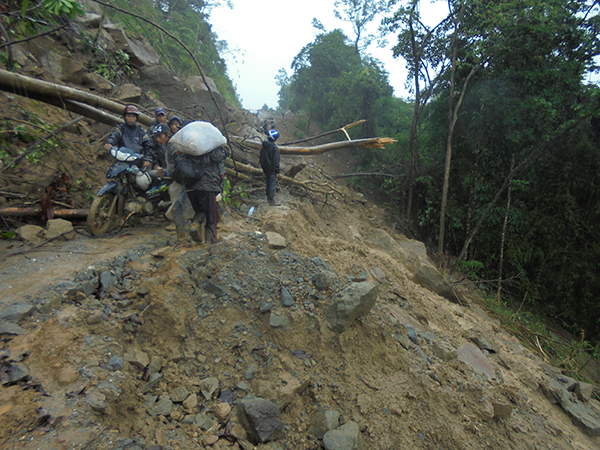 A collapsed road in the Naga region. 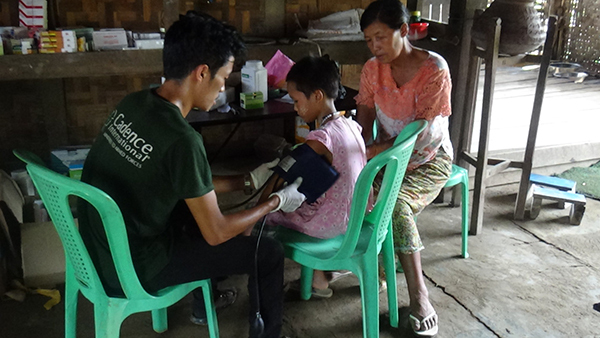 In the Naga Hills of Sagaing Division, in northwestern Burma, the FBR Naga team has been conducting medical and relief missions into new territories that are so remote, they receive little outside assistance or attention. The team conducts two mission per year, with the initial 2018 mission happening in Namyun Division in February. Over the course of three weeks, the Rangers provided mobile clinic services ten times to help villagers’ medical issues and conducted multiple interviews with locals to ascertain major problems and how they could provide additional assistance on future missions. The villagers reported that though they have seen some improvements in recent years, such as the Burma Army no longer forcing them to provide unpaid porters to carry their supplies, they have issues of food security, as they are reliant on their rice harvest which is dependent on unreliable weather. Although other food crops can be grown, with limited government assistance available in the event of harvest failures, their subsistence is precarious at all times. In every village that the team visited they were asked to return whenever possible as for some the FBR team was the only medical personnel available to them. 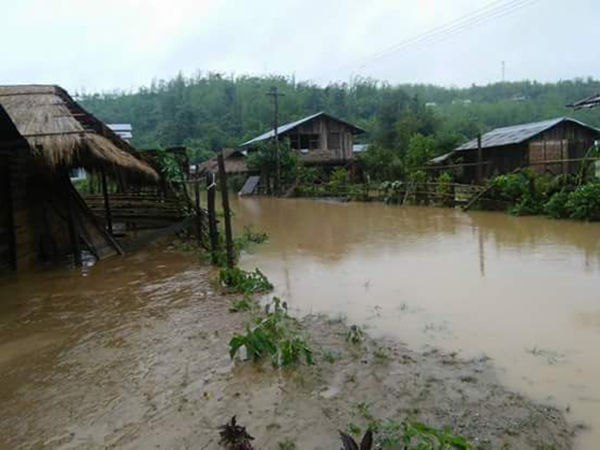 The dedication of the Naga team to provide assistance was especially valued when they were able to get critical supplies to areas severely affected by flooding during their June mission in the area. 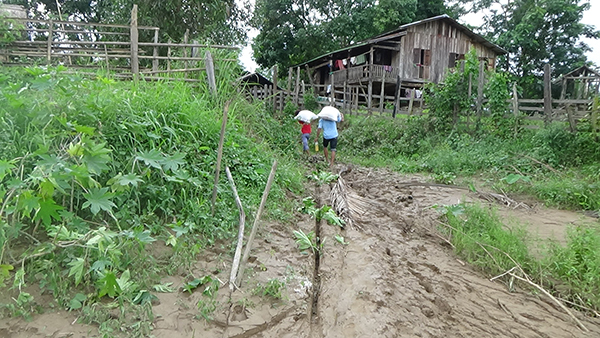 FBR Naga team delivers rice and medical supplies to flooded communities. FBR Medics provide clinic services to villagers affected by flooding. 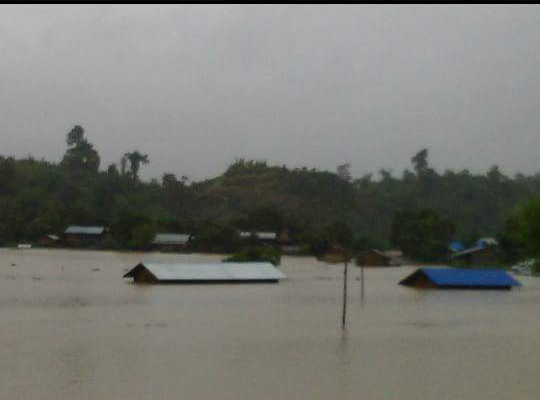 Flooding in the Naga region. “Mobilute Town was established only in 2010 by Myanmar Government, who forced many families and some entire villages to move here. Since 2014, every year the flood is happening. 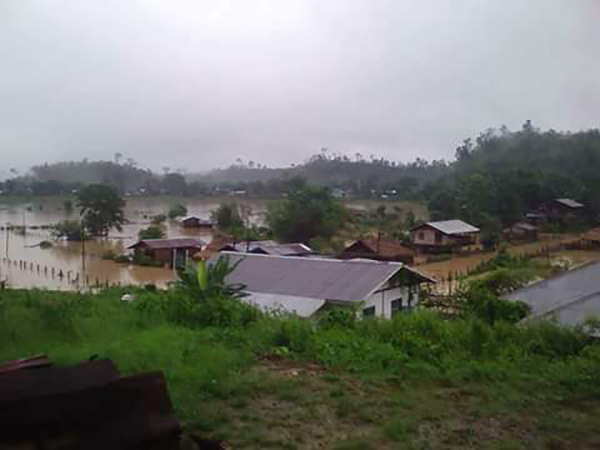 On 13 June 2018, the flood started suddenly at night. Four to five family lost most of their belongings and loss affected another 40-50 families. At least 5-10 acres of rice fields were also destroyed. He, like everyone else the ranger team had helped, expressed his thanks. “There is no organization providing help to us except the Naga FBR Team,” he said.